I’m a dreamer. I grew up in a lower middle class environment where the stretch goal was simply survival. Many of my neighbors had never ventured far from the city. Reading wasn’t a popular hobby. Dreams were for other people. But my mother introduced me to every free or low cost cultural program she could find. I took art classes at the Museum of Art. Spent days sketching by a replica of The Thinker near the reflecting pond. And my weekends existed living in the stacks of the Public Library and carrying home as many books as I was allowed at the end of the day. Whenever I needed to escape my environment, books were there to guide me. I immersed in Barbar and envisioned myself traveling with the king to a far distant land. I was Madeleine lined up in a row of similarly dressed girls. All the while I doodled designs of futuristic cities while munching popcorn in front of Lost In Space. I imagined being tutored by the magical Mary Poppins. But in those books and movies the characters were animals or they were white. Other than Star Trek, people of various backgrounds didn’t exist in the imagined futures for our world. I loved Uhura, Checkov and Sulu. But I wanted them to be my Captain Kirks. A few years ago, I spoke at a public library in Arkansas. Over the course of a week I talked about writing to 25 busloads of elementary school children. At the end of the week a teacher returned and said one of her students was perplexed that I had gone to MIT. The teacher, confused by the girl’s question, pressed her. The young girl wanted to know if she could go to a school like that, given that she was Hispanic. She wanted to know if it was allowed. And if so, could she tag along with the teacher who, herself, was studying for her Masters degree at a nearby college. In that child’s neighborhood, college wasn’t in the vocabulary. And in her literature, girls like her didn’t exist at all. I want you to think about that a minute. 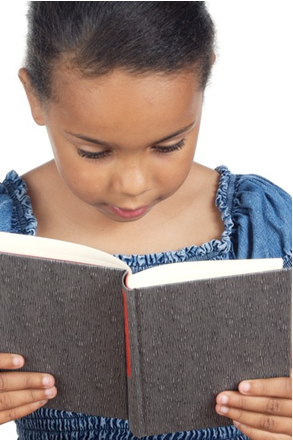 Decades after the multicultural Star Trek series debuted, contemporary literature and the media still play a large role in the perception that options for children of color are severely limited. Popular fiction and blockbuster movies center around children who are not Hispanic, or Native American or . . . (fill in the blanks). In the rare instance where they are, movie directors make a course correction. For instance, in writing Wizard of Earthsea, Ursula LeGuin created a world in which all of the communities were populated by people who were various shades of brown. No specific ethnicity is delineated. The hero is brown, the villain is blonde and blue eyed. In translating the book into a mini-series for the SyFy channel, Producer Robert Halmi of Hallmark Entertainment cast all the characters using white actors and said he had “improved upon the author’s vision.” Ursula LeGuin responded by saying he had wrecked her books. In recreating the popular Avatar: The Last Airbender, director M. Knight Shamalayan cast all of the Asian heroes with white actors. The villain who was white in the series, became Asian in the movie. Children of color are tokens in the background of Harry Potter’s universe but not in his inner circle. The olive-skinned girl in Hunger Games becomes Jennifer Lawrence. See the trend? For children of color the message is clear: when it comes to being a hero in a fantastical adventure . . . But it also sends a more dangerous message to society. For people of a majority race it may imbed a subconscious message of “only you,” or worse . . . In watching the protests around the country starting with, but not limited to Ferguson Missouri, I found myself wondering if someone like ex-officer Darren Wilson grew up surrounded by images of people like him who were the heroes, the leaders, the enforcers and where people who didn’t look like them were villains to be feared. Police officers who are later assigned to patrol neighborhoods where gifted children are stunted because they were trained by society, and sometimes their own communities, to stop dreaming beyond the end of the street. 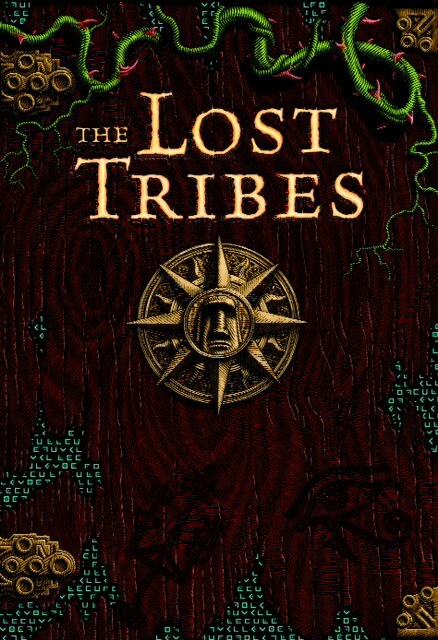 In crafting The Lost Tribes I envisioned a world where those children were integral to the story and allowed to take center stage. Children who were very smart, but not perfect. Children who bickered and made mistakes while they worked out solutions and came together as a team out of necessity but remained together out of mutual respect. 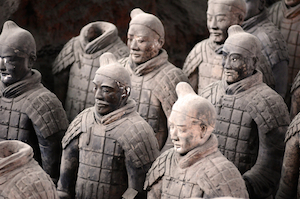 I envisioned characters informed by their cultural backgrounds but not constrained by them. I wanted to create an environment where the characters faced frightening situations and had to work out the solutions without the use of magic wands or other tricks that would substitute for logic and team work. In a sense – if your world is falling apart what would an ordinary kid do with few skills and no training? I had a vision, for instance, of who the character of Serise would be. 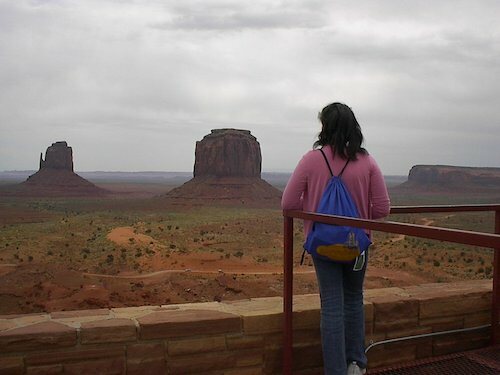 She’s Navajo and I knew book research wouldn’t substitute for spending time in her environment. So I spent two weeks in Rock Point, Arizona. It is a small town on the reservation where I met two teens who were Goth and quiet. I met another who was quite outspoken. I came armed with books, including a lot of age appropriate fiction. They leaped for the nonfiction, showed me how to log on to a password protected satellite dish so I could check emails, and talked about their lives and dreams with me. And so Serise was reborn as a computer hacker, far from the stereotypes people have about Native American girls. My protagonist, Ben, thinks basketball is the ticket to success. He eschews his parent’s scientific interests as the stuff of nerds. In working with urban students I learned that many hide being smart. It’s easier to be athletic. It’s expected. It’s often emphasized. So it is fascinating that a friend and librarian forwarded an excerpt of Neil deGrasse Tyson’s book in which he talks about fulfilling society’s expectations of aspiring to be a top athlete until he read a fascinating fact about the speed of light and black holes. He decided science was infinitely more interesting and became an astrophysicist. My characters, like my readers, crave adventure and as an engineer writing science fiction I understood that Earth already held much stranger backdrops than anything I could make up. 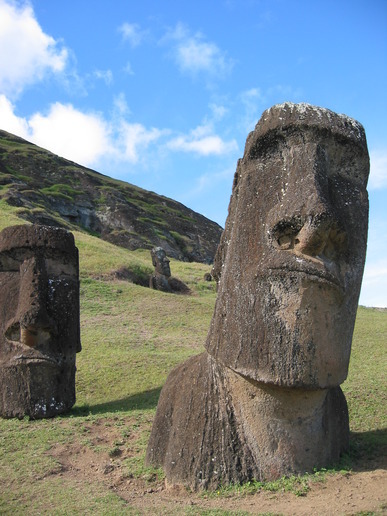 For example the Moai of Easter Island or the Terra Cotta Army. As we approach February, inevitably children across the country will be introduced to the same ubiquitous fare that adults provide every year. We’ll fill their reading lists with realistic fiction, historical fiction and angst based nonfiction centered around race. But we won’t tell them they can aspire to slay dragons, build castles or venture out into the great unknown. They won’t travel to outer space or even abroad to a foreign land. When they are looking at the stars, we’ll quiz them on books that go no farther than their own environments. And when some children are dreaming of the future, we’ll be drilling into their heads only visions of a painful past. During Black History Month we’ll ask, “What are you doing to fulfill Dr. King’s dreams?” and therein lies the rub. We should be asking, “What are you doing to fulfill YOUR dreams?” and then make it our priority to point them toward a path that will get them there. I’m still a dreamer. I found my path forward in books and used the clues to figure out how to reach for the stars. Perhaps it is time for publishing to provide those clues forward without our readers needing a universal translator to see themselves between the pages. Perhaps it is time for a broader selection of children to be shown leading the way. C. Taylor-Butler is the author of more than 70 books for children. A graduate of the Massachusetts Institute of Technology with dual degrees in Civil Engineering and Art and Design, she serves as Chair of one of their regional Educational Councils. After traveling the world and speaking to thousands of children with dreams of their own, she has decided children of color shouldn’t have to settle for second place. To find more speculative fiction featuring children of color (sci-fi, fantasy, paranormal, time travel, alternate history, dystopia, horror, etc. ), see the list compiled by Zetta Elliot. Thank you so much for this post — for sharing your experiences, for being such an eloquent bridge between art and science, for reframing that MLK day question “What are you doing to fulfill YOUR dreams?”. (And also, for sharing Zetta Elliot’s list — which is a great resource!) Your examples of white-substitutions in the films you cited were new to me — and depressing. But I suppose not surprising. What a fascinating story. I love how the research lead the characters into different directions, not planned. Can’t wait to read this book! Bravo, C! Your dive into the deep with LOST TRIBES is long overdue. There are so many amazing characters in this series. I can’t wait for it to hit the shelves. I’ll be all over it, and I plan to make sure the kids in my world are all over it, too! Write on. WOW. Cannot WAIT. Can. not. wait. Yes, Christine! I wrote a piece for the Children’s Book Council recently on the same thing. Limiting images of people of color not only negatively the people they dismiss, but also people of other cultures and races who are trained to only see that limited image. Think of the police officers in Florida using black men as their shooting targets. It reinforces one image: criminal. We need so many more stories about people who are of all types, and all abilities, so that everyone can see how we are really all alike. You’re free to “friend” me on Goodreads (https://www.goodreads.com/user/show/7767180-a-chaos-fairy) if you’d like!